When queried as to what would happen then to the many legislations such as the Banking Act and the Payments and Settlements Acts through which CB is empowered to monitor, regulate and enforce the country’s financial system, Karunanayake replied that these laws would be changed. “All those (laws) would be revolutionized,” Karunanayake said after presenting what he termed a “revolutionary” budget. “The Central Bank is a feature of the Finance Ministry or the Constitution, in order to do certain monetary measures. But the Central Bank has failed miserably on many matters. They have been politicized. They have to be a regulatory force, they don’t need to be dabbling in how to run a country,” he said. Under the Monetary Law Act, CB has great autonomy to conduct monetary policy, but the Monetary Board of CB has to act in concert with the Finance Minister. Current CB Governor Dr. Indrajit Coomaraswamy, whose appointment was widely accepted by government, opposition and civil society organizations alike, has so far been able to manage the country’s monetary policy in a prudent manner, creating the space for fiscal policy. He had also said during his appointment that he would not be making public statements on how to run a country’s economy, but would through official channels that have been created for the purpose, advise the government on economic matters. 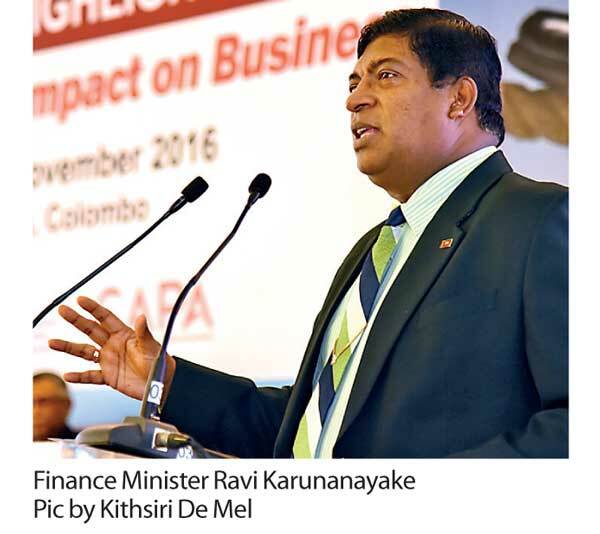 Meanwhile, Karunanayake said he wanted anyone who has sufficient professional knowledge to help the Finance Ministry restructure the laws related to CB. “I call upon all those having professional knowledge to come to the Treasury and meet our DGs (Director Generals). Your knowledge is very much appreciated. We don’t think that the Treasury knows everything. You’re invited, so that you’ll be a part of the decision making process,” he said.